With Private Email you can have all or specific incoming emails automatically forwarded to another address or folder. 1. Log in your privateemail.com. 7. Choose the matching type and enter the mail filter parameter, for instance, email address you need to forward the emails from. We recommend choosing the Contains option, if you want to make the rule less strict (all emails that come from tutorials@nctest.info address or contain it in the from field anyhow are included). 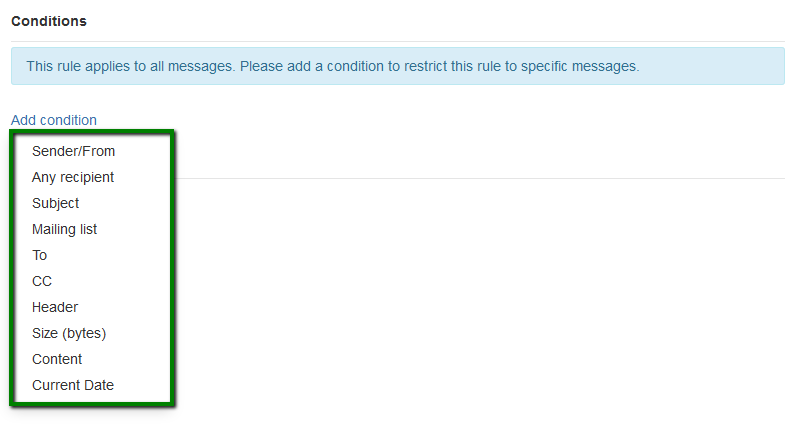 NOTE: Do not forget to add Keep action if you want to keep the copy of the received message in the email account. You can disregard it if you want to have the forwarding only, without saving the copy of the message. NOTE 2: Make sure you check Process subsequent rules option. 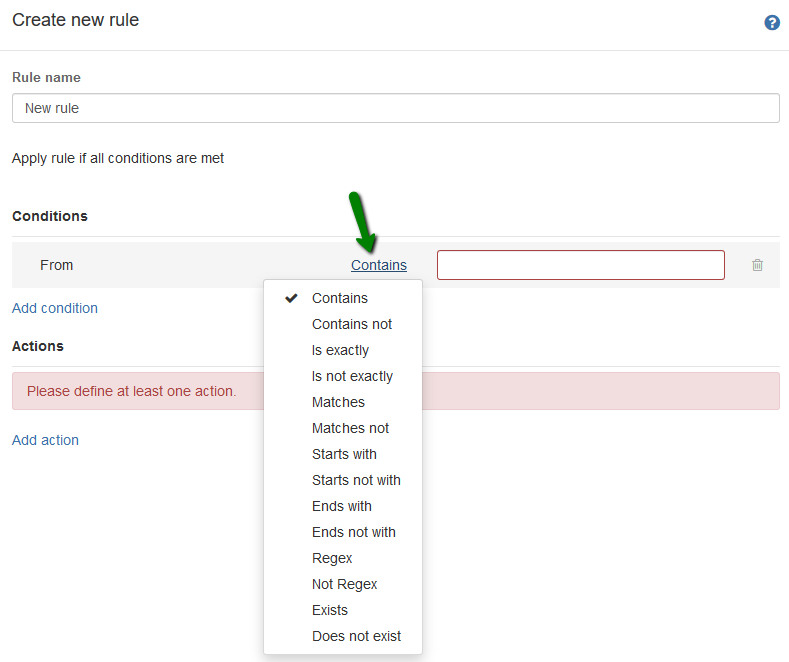 Otherwise, this rule will be the last one to execute and other filters in the list will not be processed. 9. Click on Save to implement the rule.